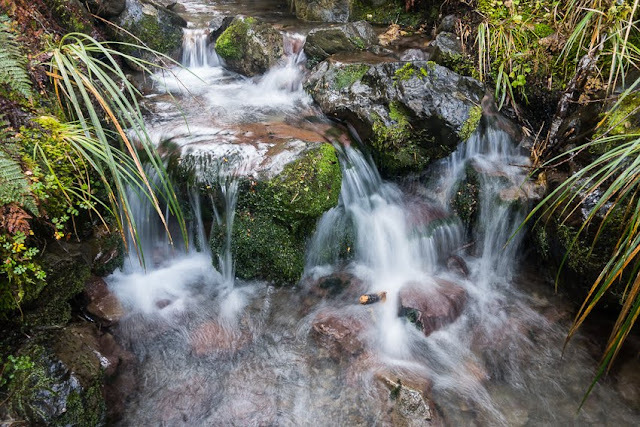 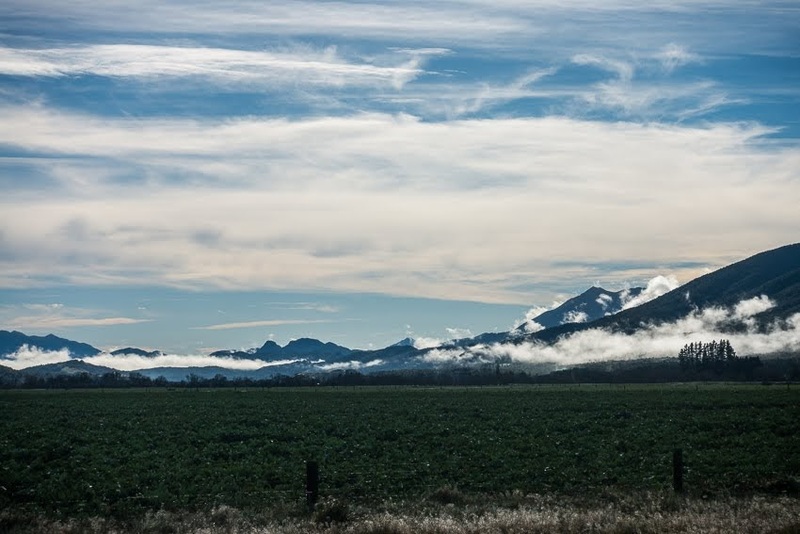 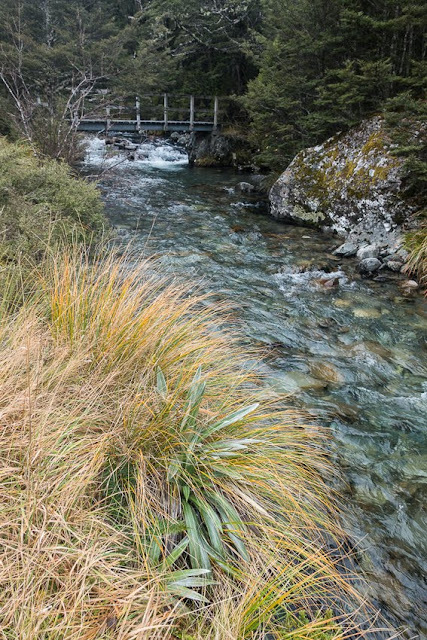 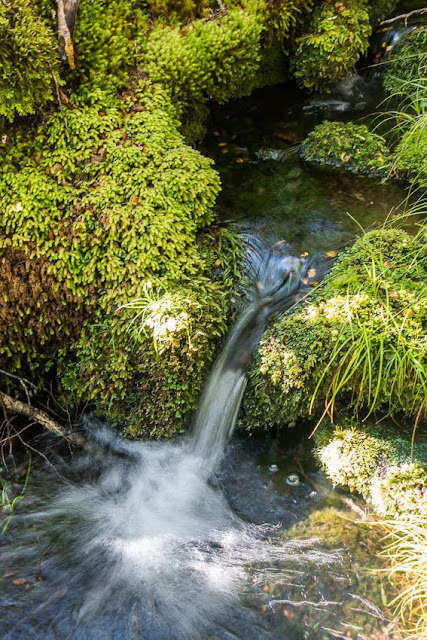 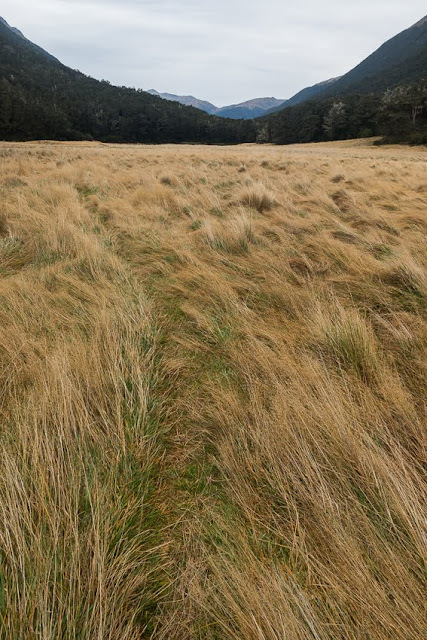 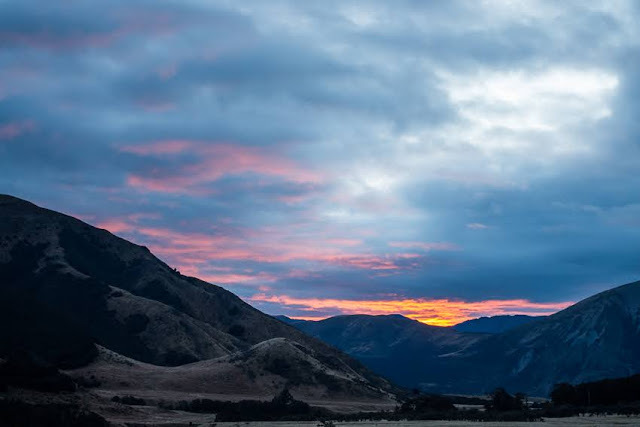 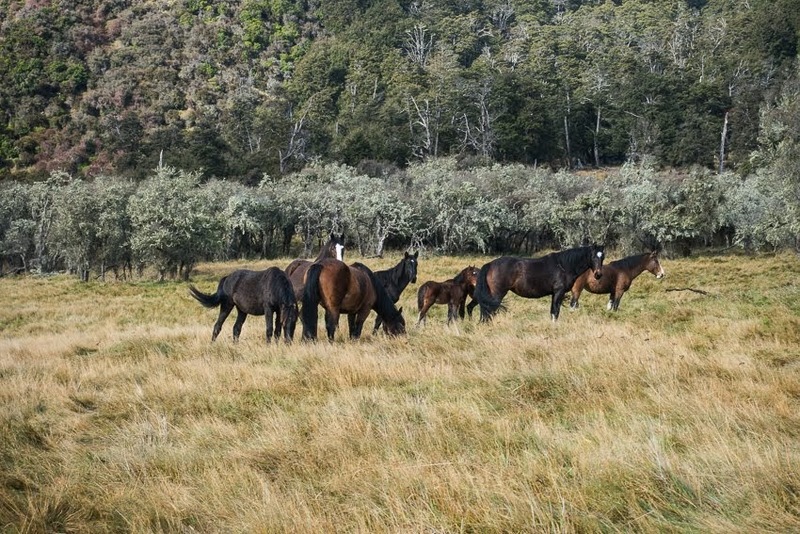 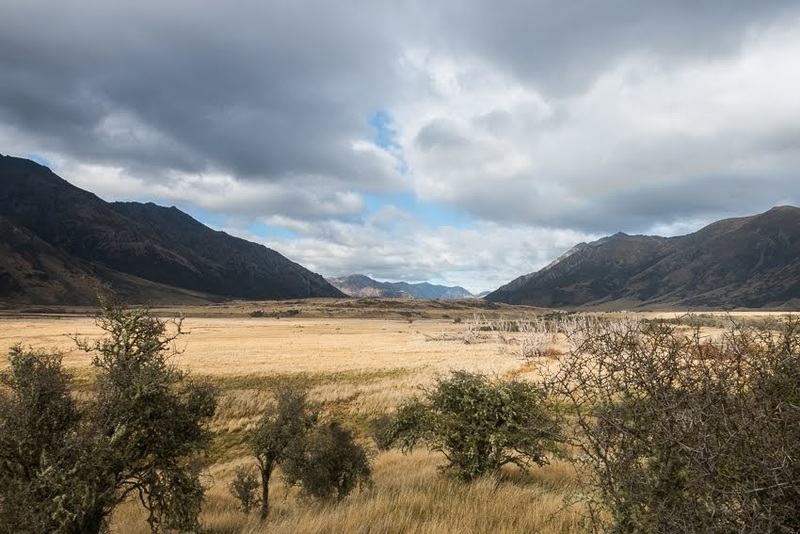 St James Conservation Area is north of Hanmer Springs, between Lewis Pass and Molesworth Station. 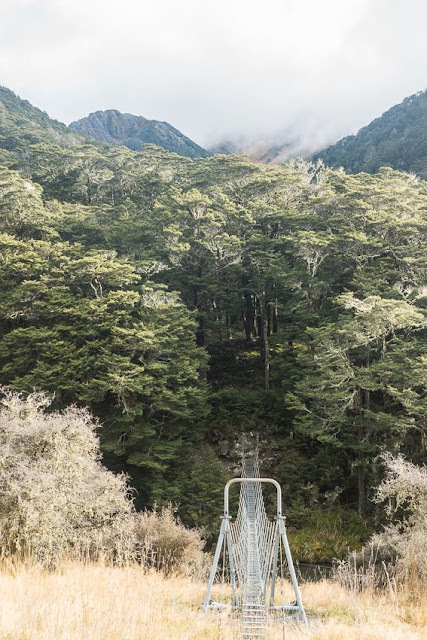 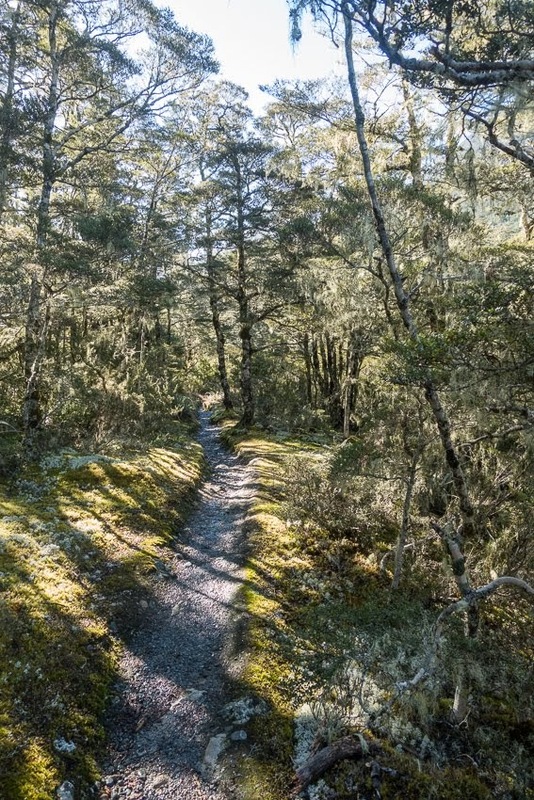 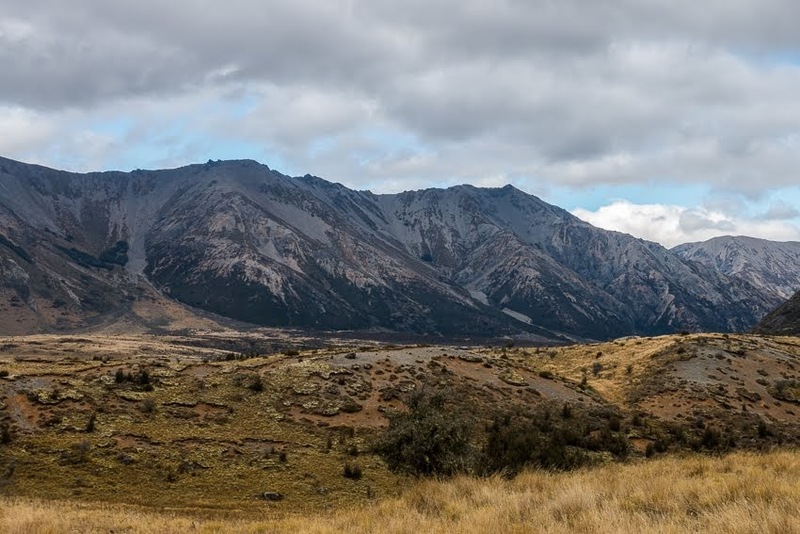 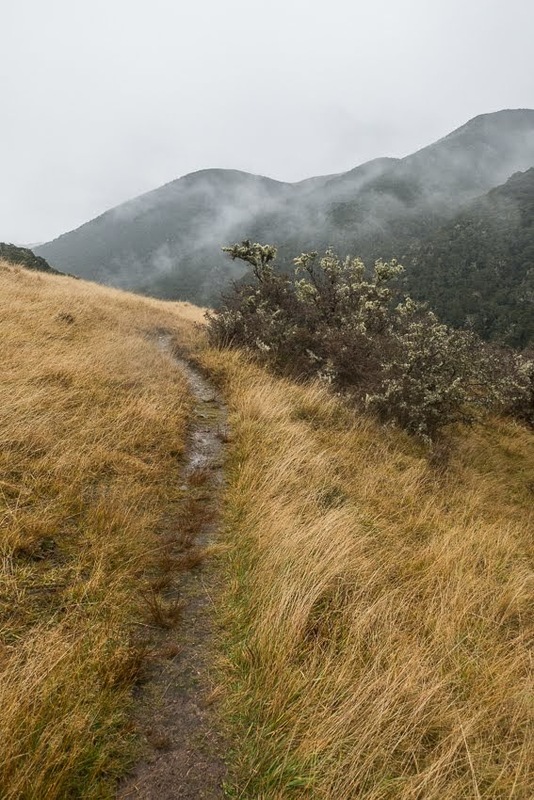 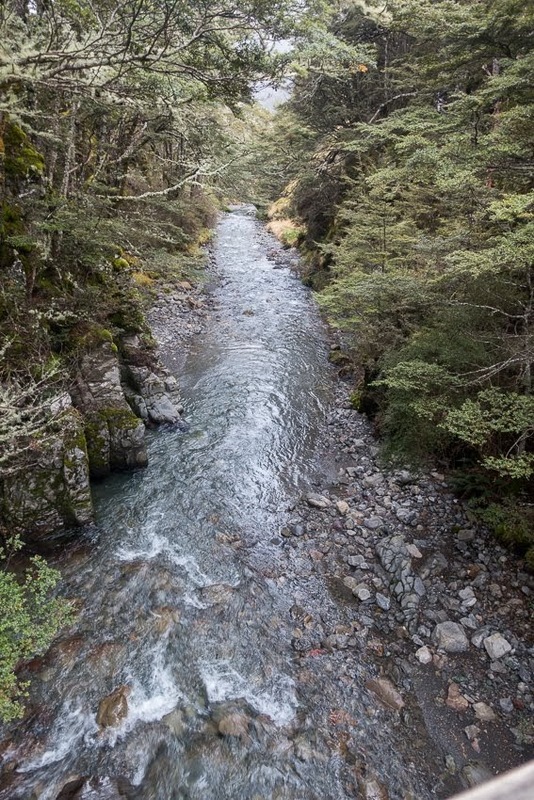 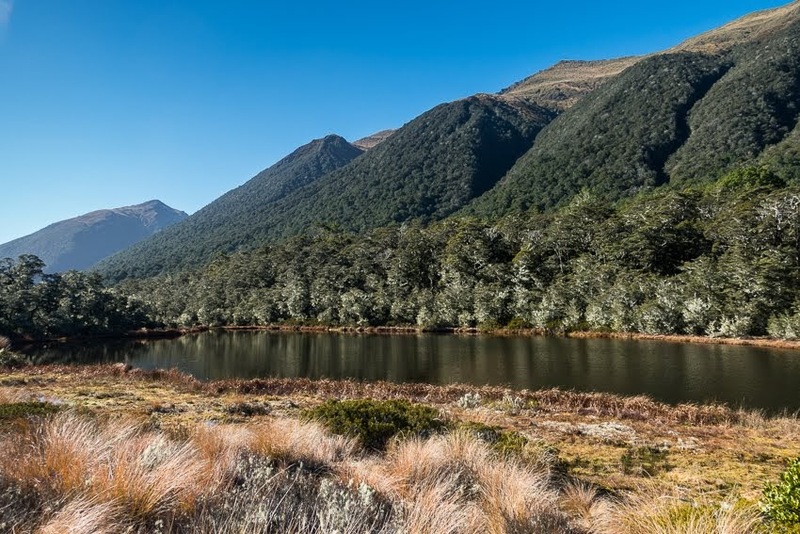 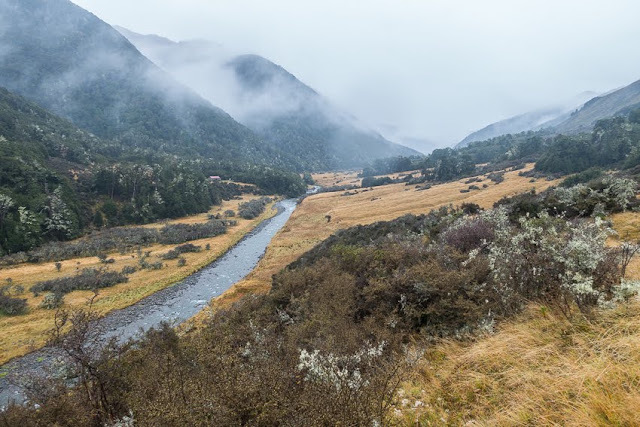 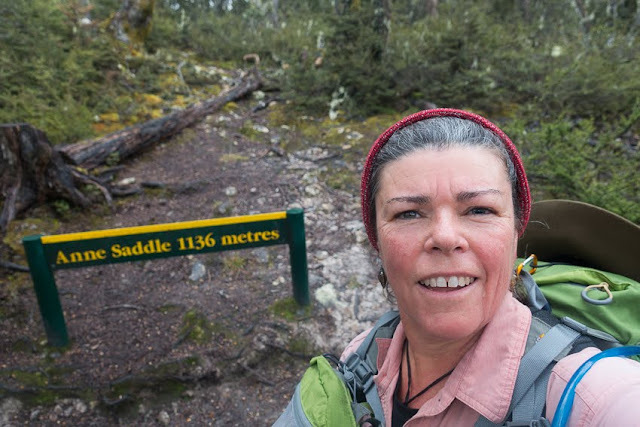 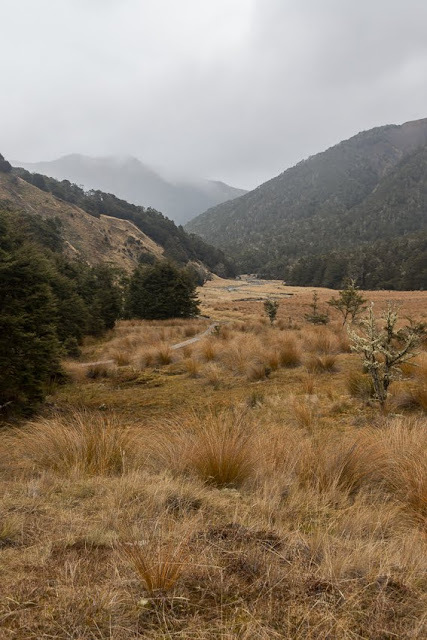 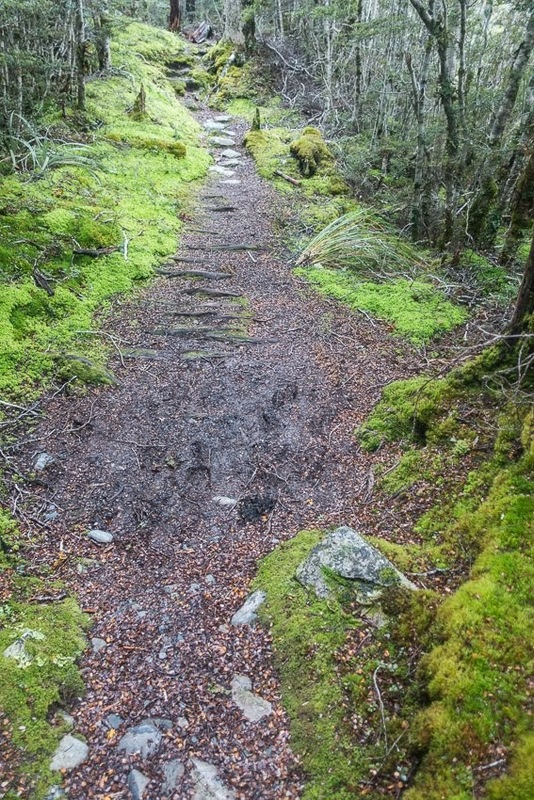 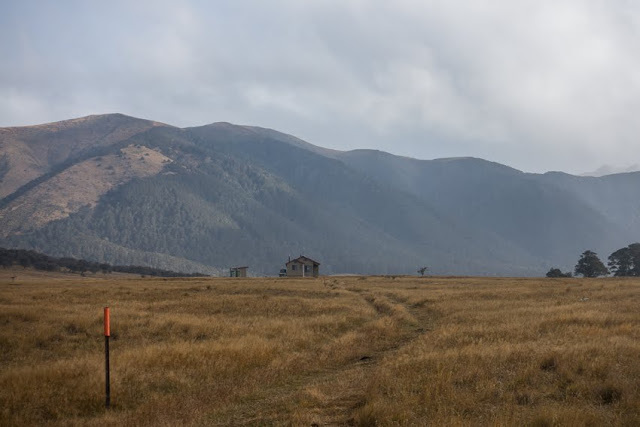 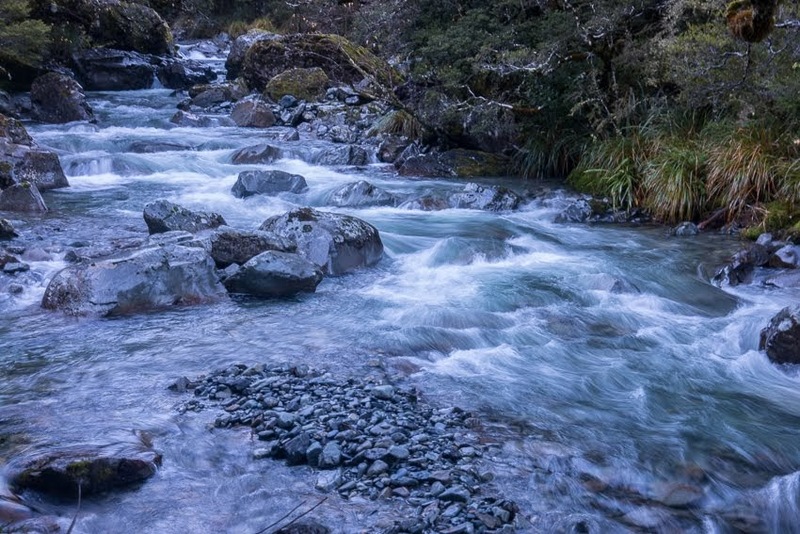 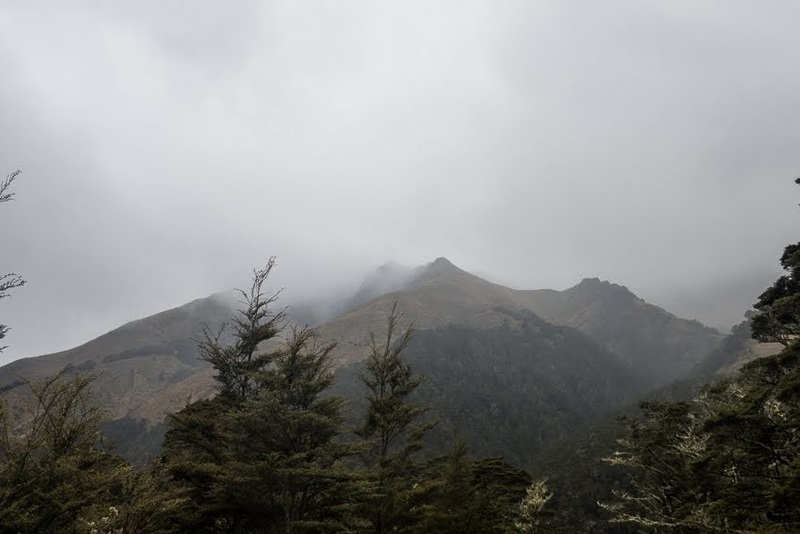 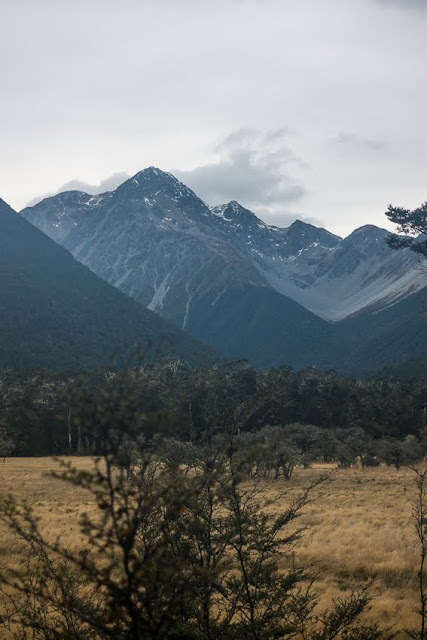 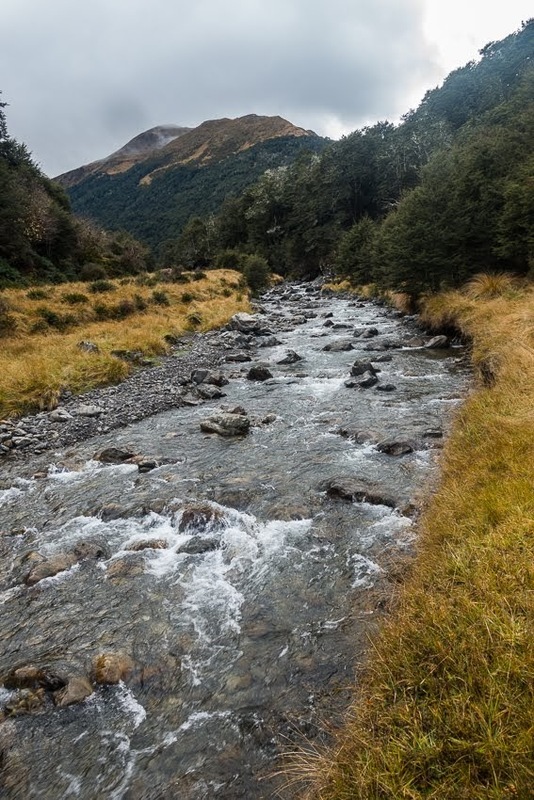 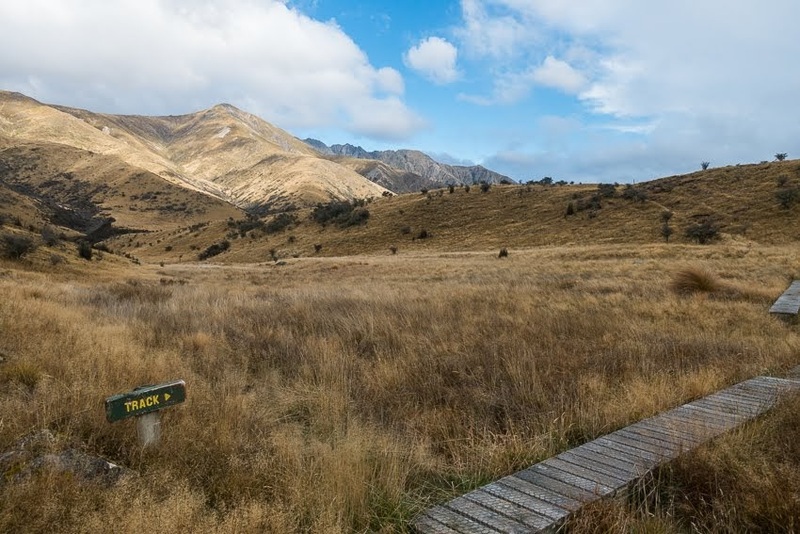 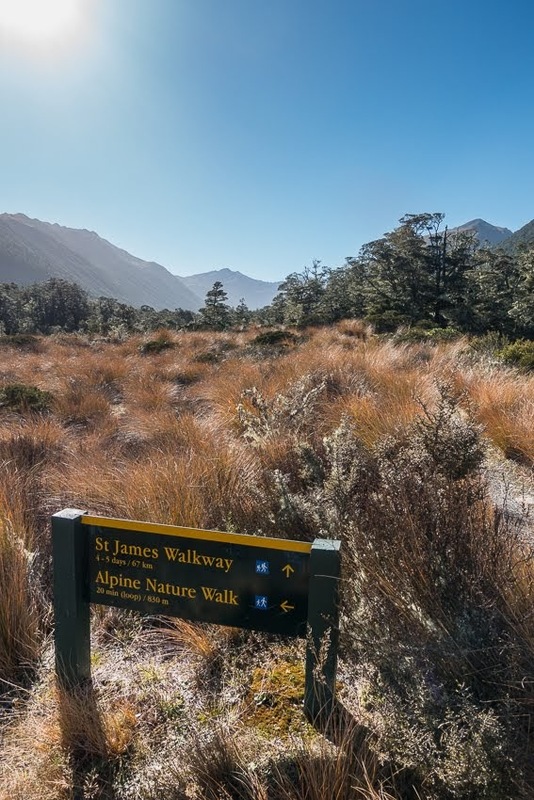 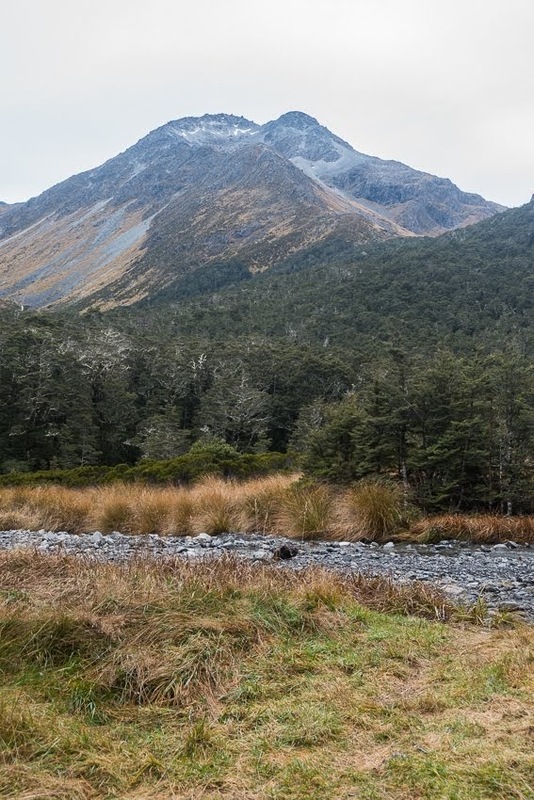 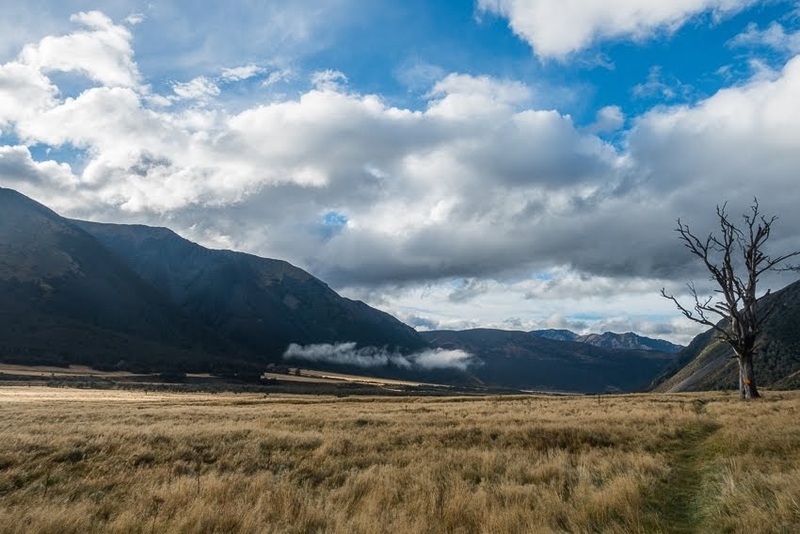 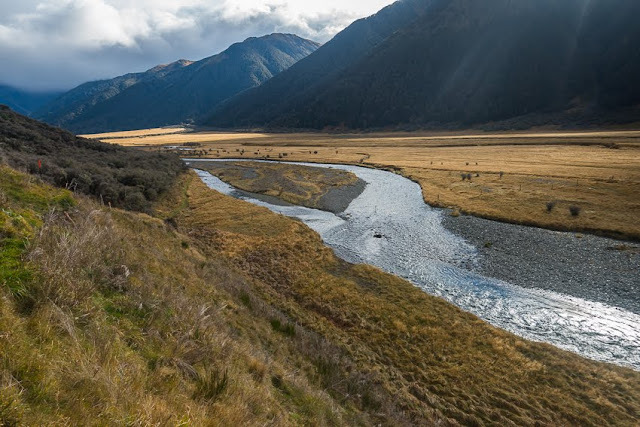 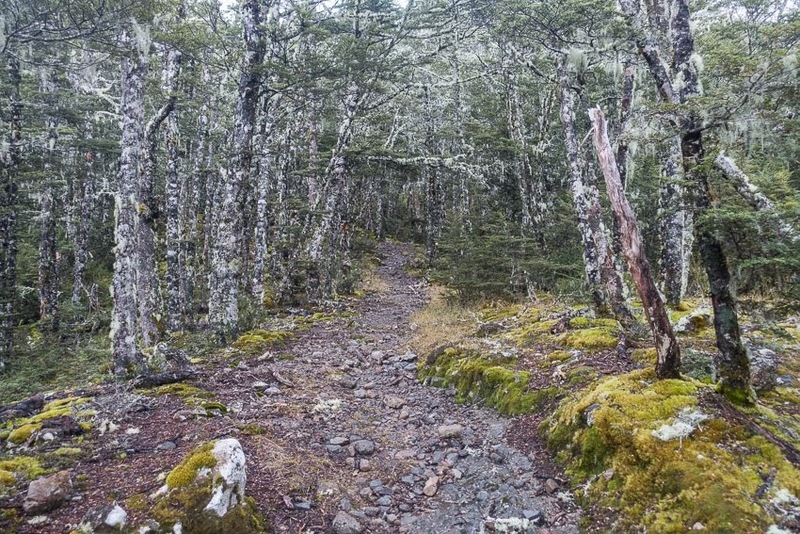 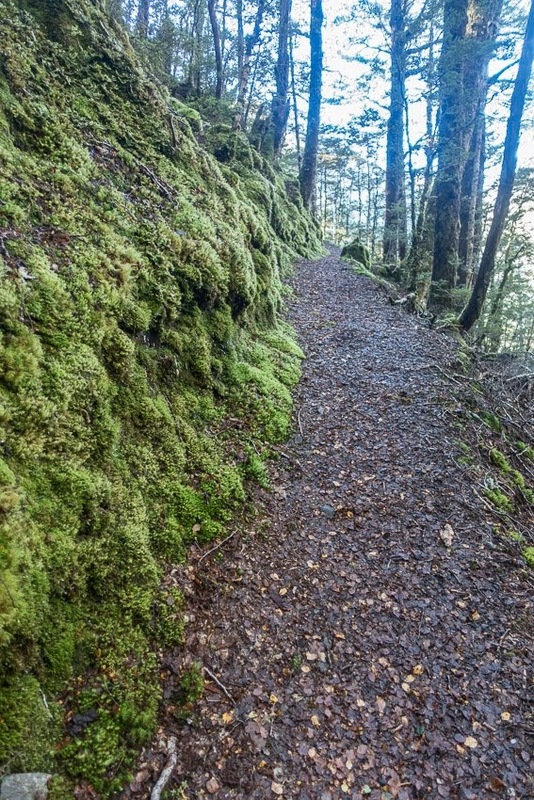 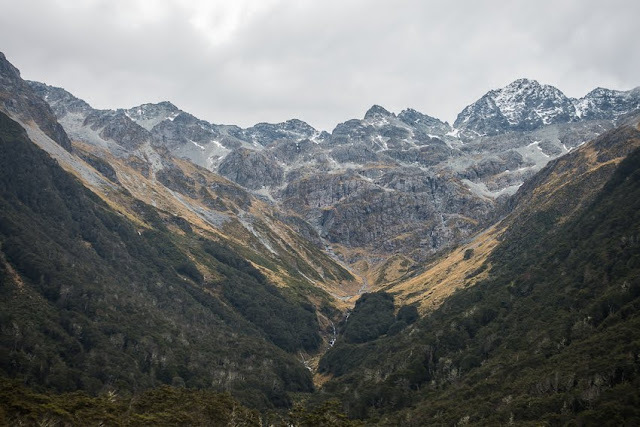 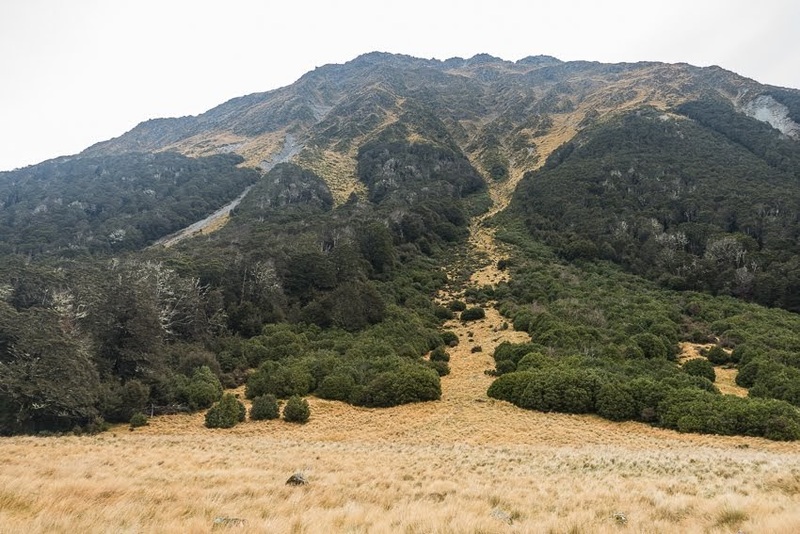 The St James Walkway is a loop walk from Lewis Pass, and if there's one thing I like, it's the opportunity to walk back to your car on a different route to that you went out on. 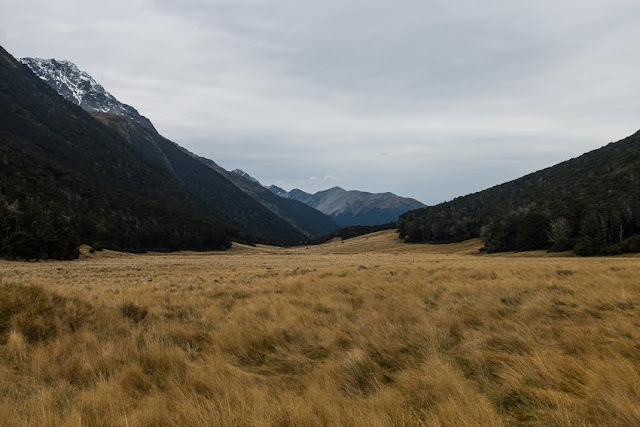 A lovely French family picked me up and dropped me off at the carpark at Lewis Pass. I ate my lunch then began the gentle tramp three hours to the first hut at Cannibal Gorge. 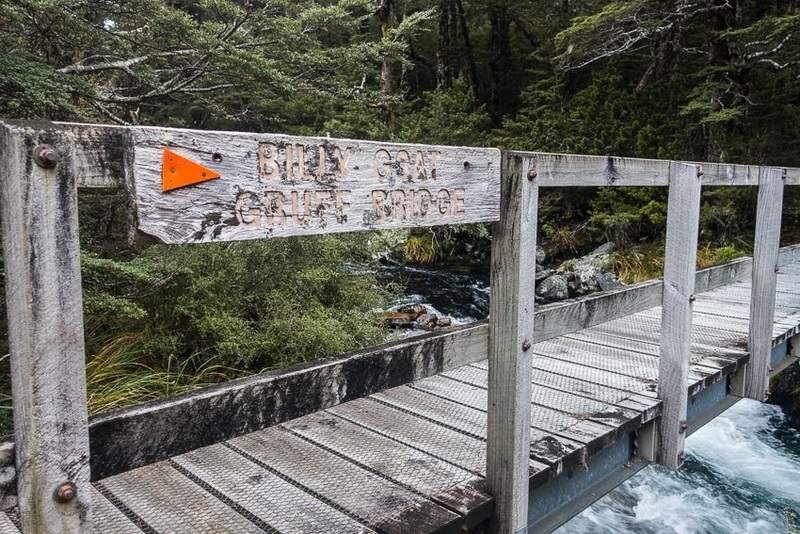 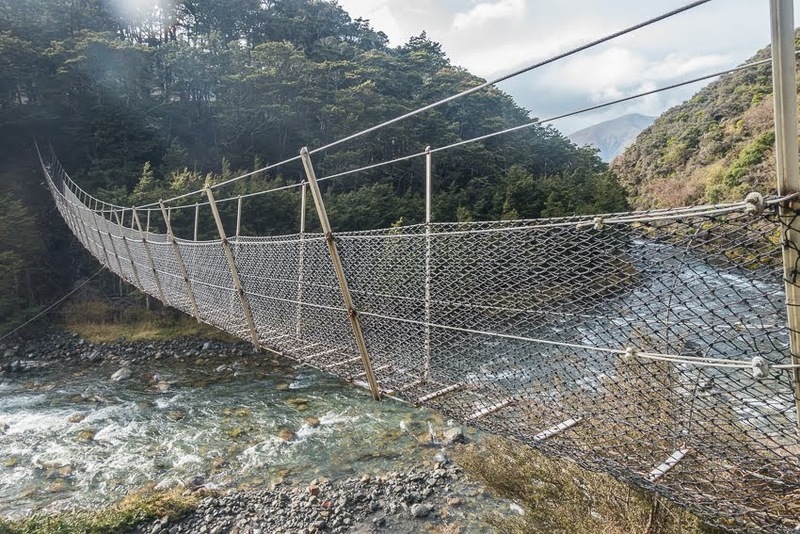 The walking was easy, across swing bridges, through mossy beech forests with multiple small stream crossings, and alongside fast flowing rivers. 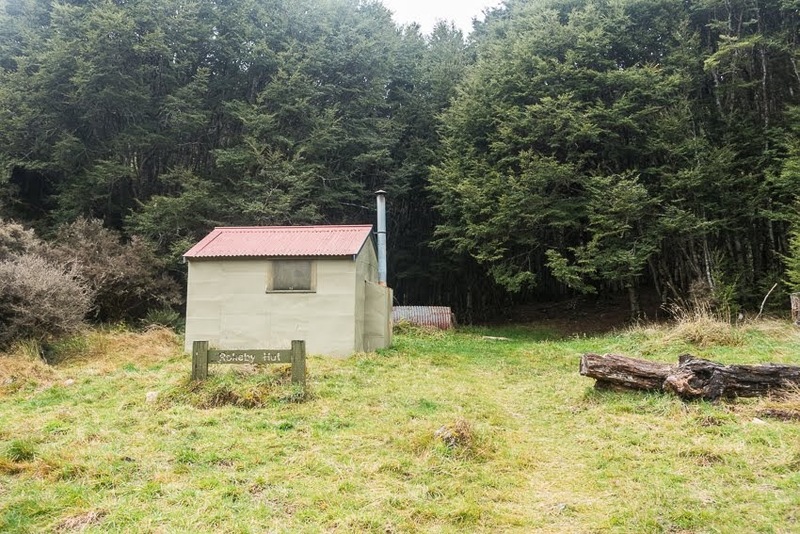 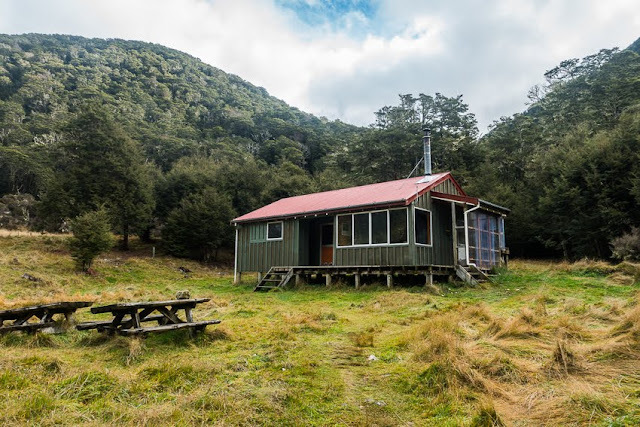 By the time I got to the first hut it was starting to get quite dark in the forest, so I elected to call it a night. 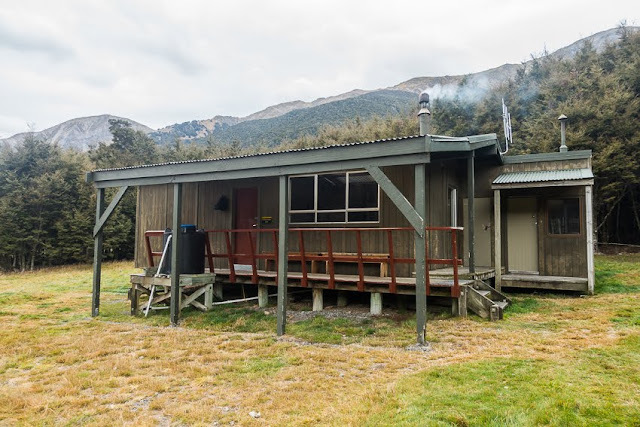 I had the entire hut to myself, but failed to get a decent fire going to warm up the hut. Luckily it wasn't that cold in my down jacket and pants! 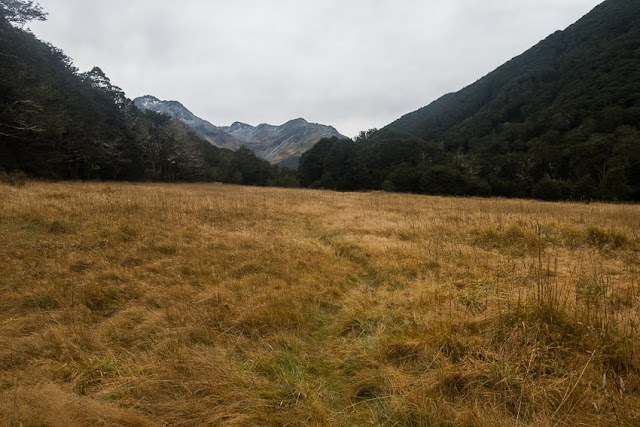 The next day I walked through to Ada Pass Hut, only an hour away, then over Ada Pass to the next valley. 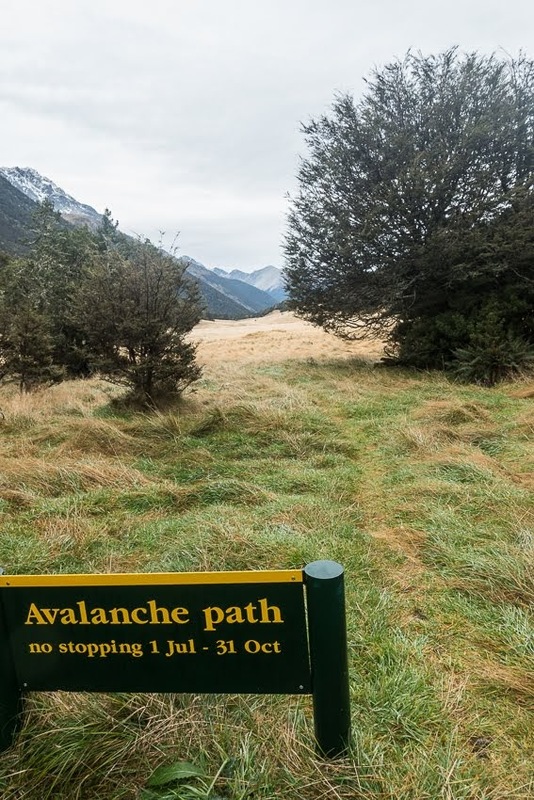 Signs warning of avalanche risk over winter were everywhere, but as there was yet to be any snowfall, they could be ignored. 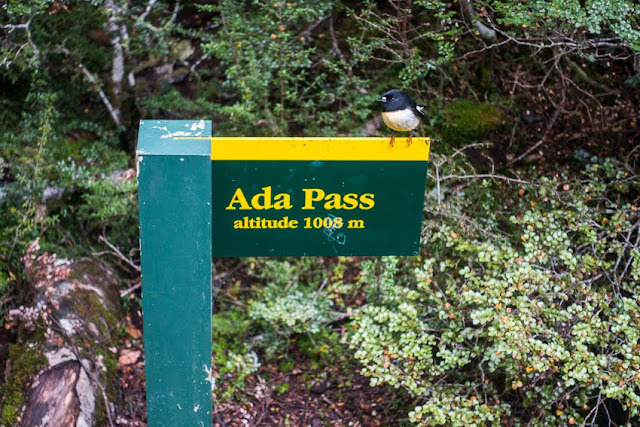 There wasn't a lot of bird life, but at Ada Pass I was photo bombed by a fantail. I stopped for lunch in a meadow below some impressive rocky peaks, then continued for another hour to Christopher Hut. 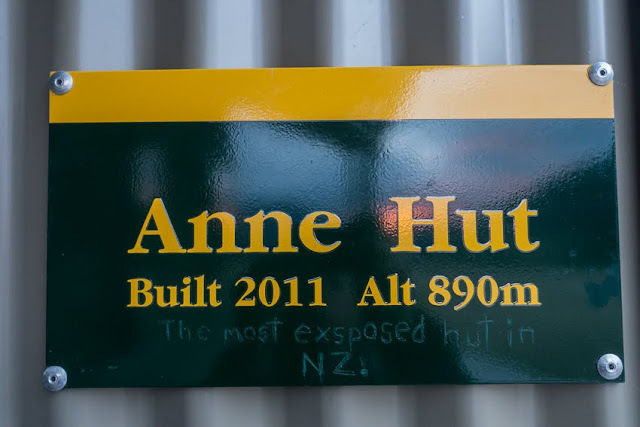 There I met Emily, a French woman also doing the circuit, who had stayed at Ada Pass Hut overnight and would be on the same itinerary as me. She had already got the fire going so this time it was toasty warm overnight. 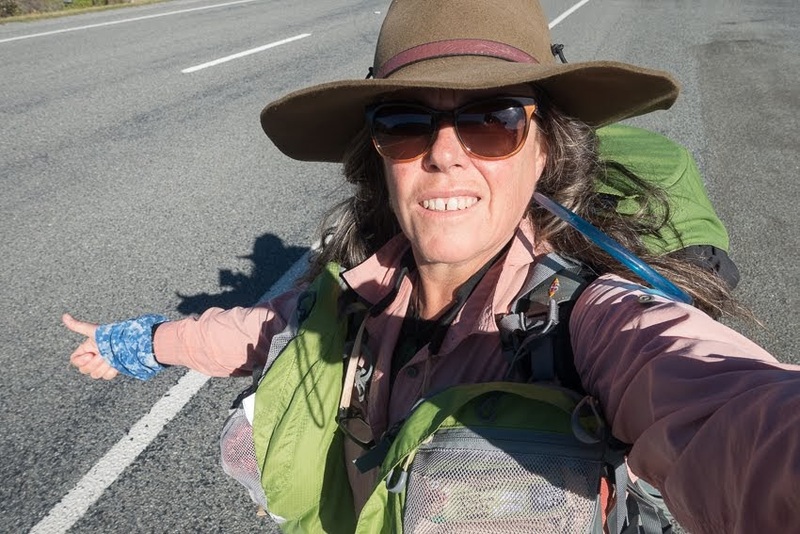 Day 4 was the most strenuous day, and even that was pretty easy. The climb up to Anne Saddle was short, and not too steep, but the descent into Boyle River valley was much longer, and steeper. 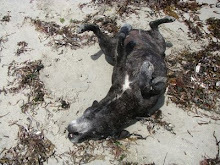 Then it got quite muddy, and swampy, but still it was relatively stress free walking. 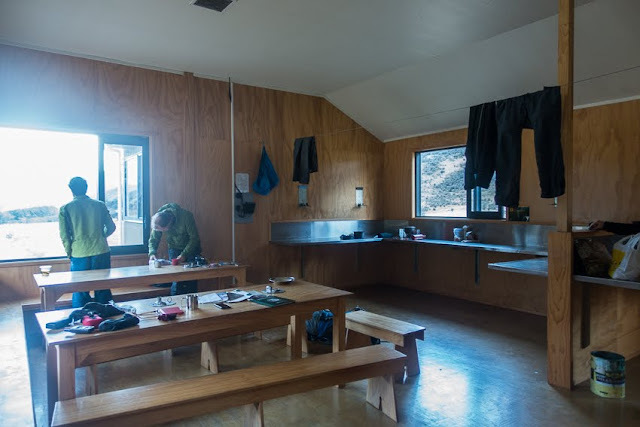 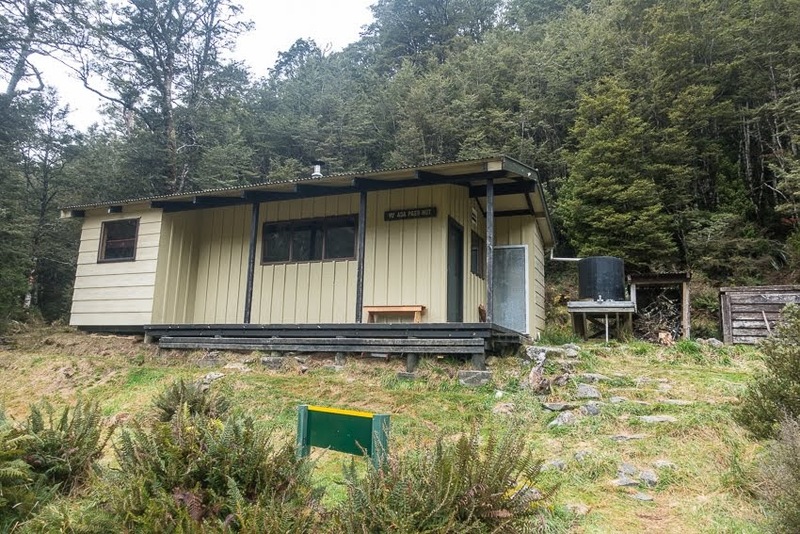 We stopped for lunch at sandfly infested Rokeby Hut, then continued a further hour to Boyle Flat Hut for our final night. Emily and I didn't walk together, but would cross paths sometimes during the day, and of course meet up again at the huts. 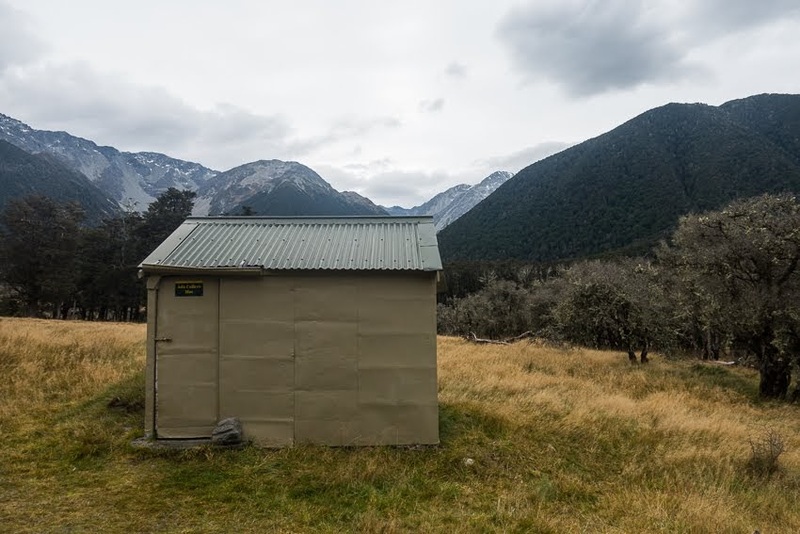 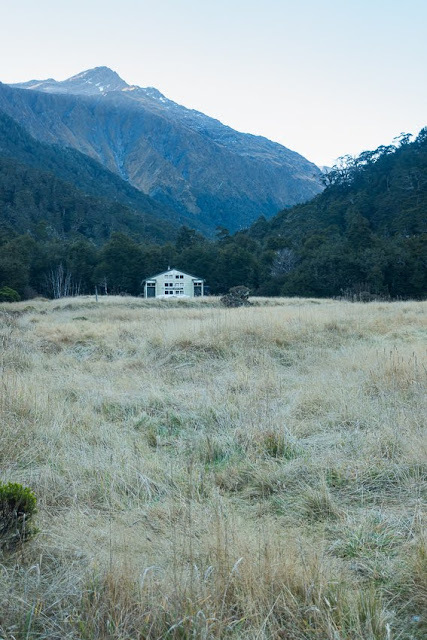 We shared Anne Hut with two Te Araroa walkers heading north, but otherwise it was just the two of us. From Boyle Flat Hut, it was back over the swing bridge and a continuation of tramping down the river valley all the way back to Boyle Village. 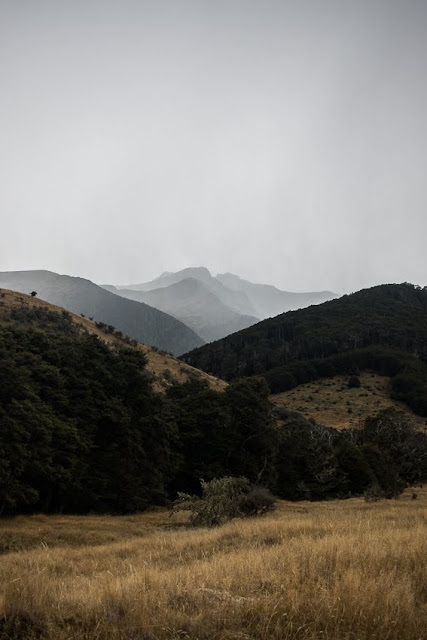 This was the only day that it rained a lot, so I put the camera away and took few photos. 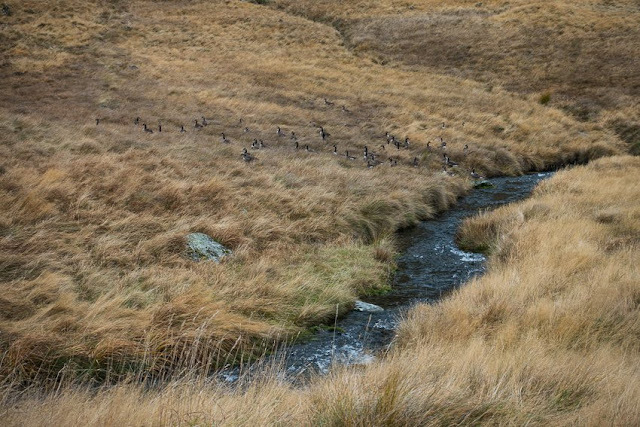 I arrived at Boyle Village mid afternoon, put my wet gear into my car and began driving back up to Lewis Pass and onwards north. 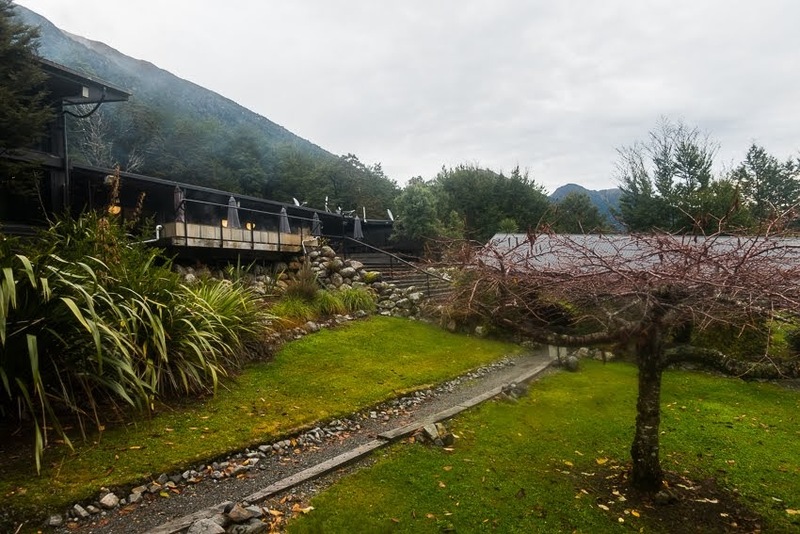 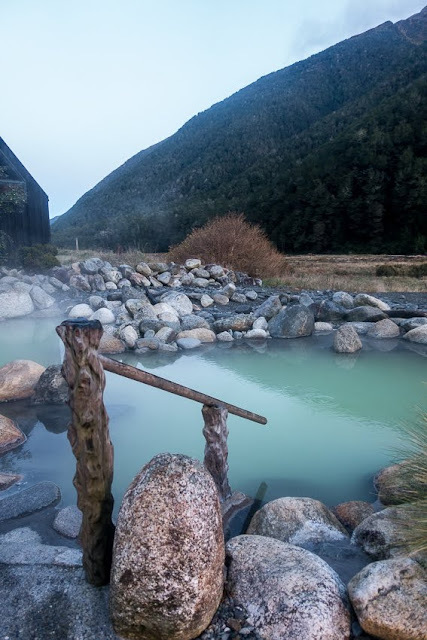 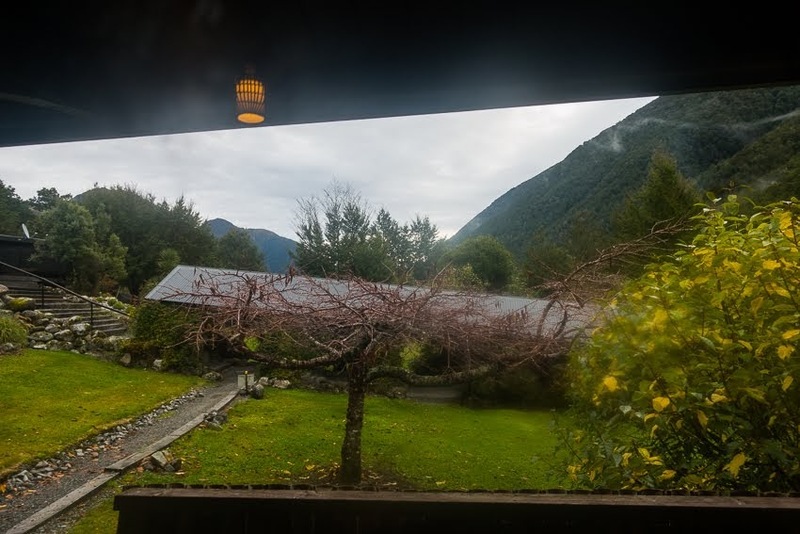 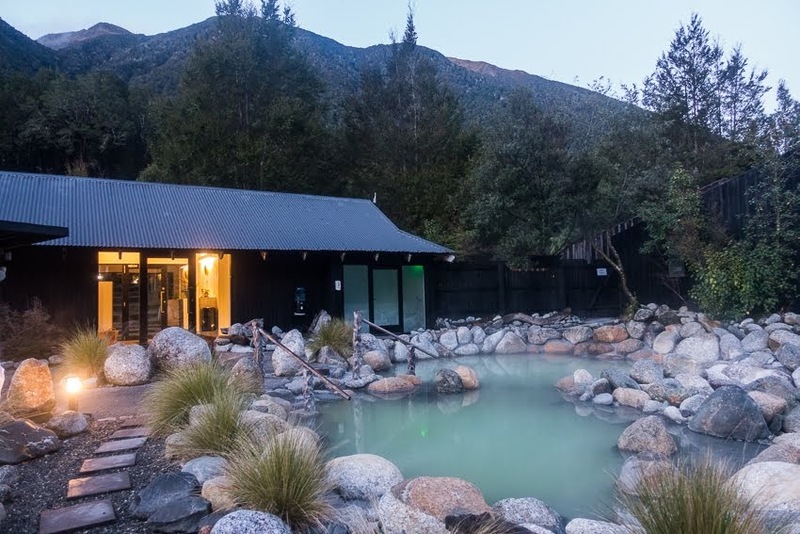 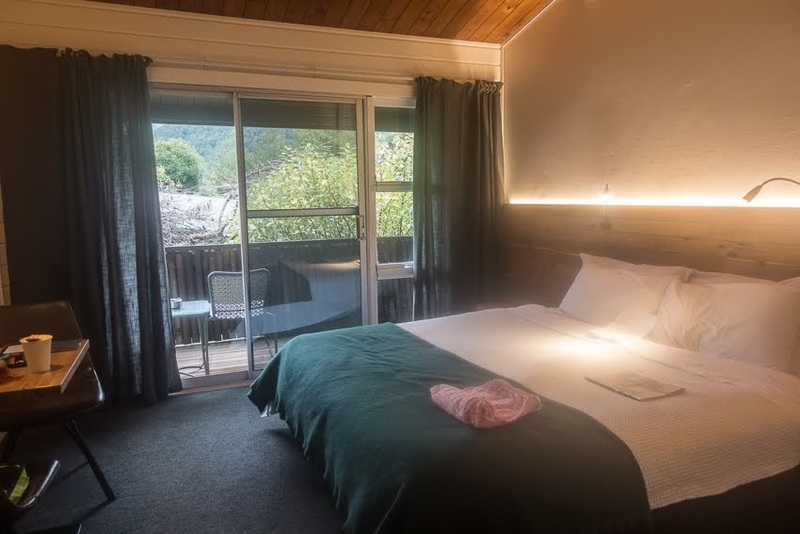 Emily had suggested that I check out the Japanese inspired Maruia Hot Springs Resort, so after five days roughing it I checked in to a hotel room there and spent a number of hours soaking in the natural hot springs. An awesome way to end my tramp.